Please allow up to 7-10 business days to process custom orders. Order will appear in the Custom Job Tracker. Enter instructions here. For partial (5x5) etch artwork, please mention where you want the etch to appear on the panel. Add Brillianize Instant Detailer Pack For Plexiglass? 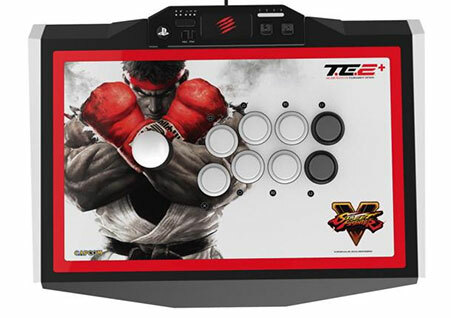 The art cover replacement top panel offers one of the best ways to customize your joystick. 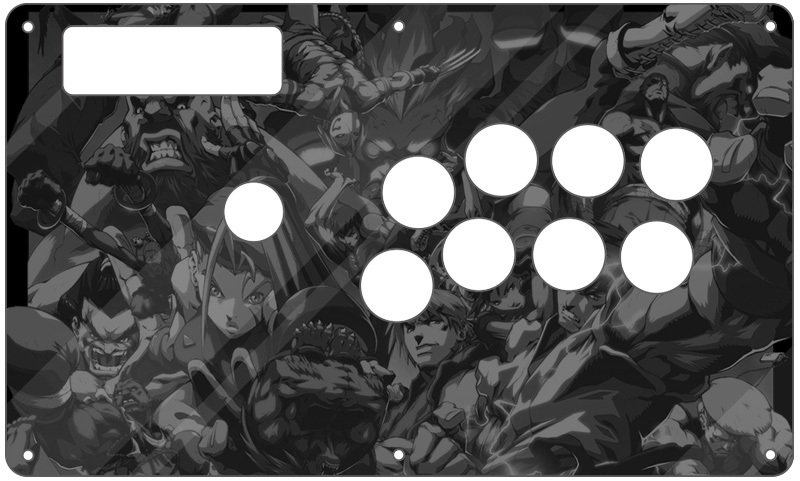 The plexiglass sits atop specially cut artwork, allowing you to add or replace new custom artwork to match your joystick theme. 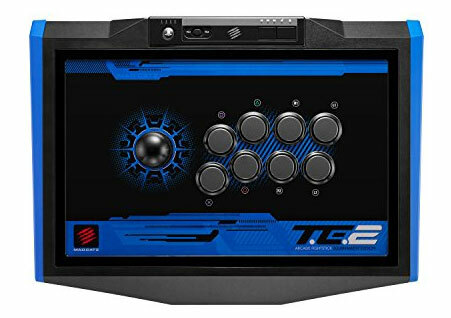 First generation MadCatz T.E.2 Fightsticks utilized a bevel-edge panel that allowed it to fit flush with the panel border. Later generation models, removed the bevel edge but also use a much thinner plastic cover. 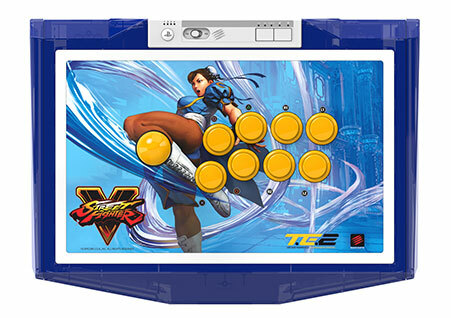 The cover is designed to fit around pushbuttons, instead of the traditional placement under the buttons. 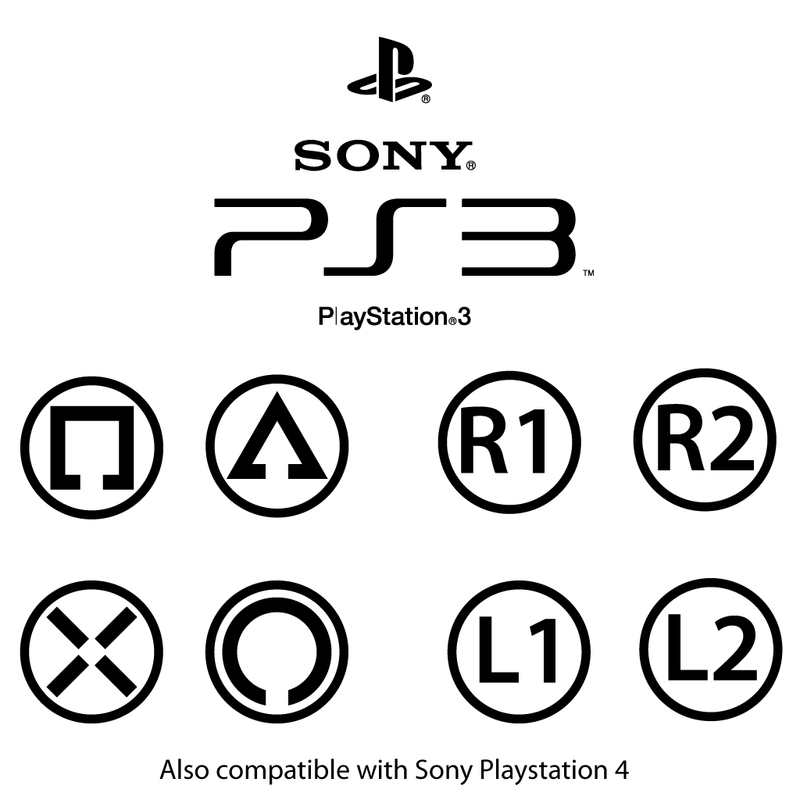 This way, you didn't need to remove the buttons in order to swap artwork. 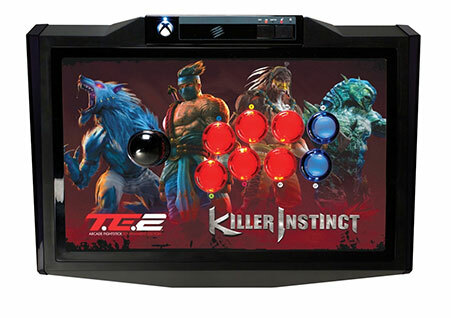 The plexi is cut specifically for the newer generation MadCatz T.E.2 Generation 2 Fightstick for Playstation 4, Xbox One, and Xbox 360, plus T.E.2+ for PS3/PS4. 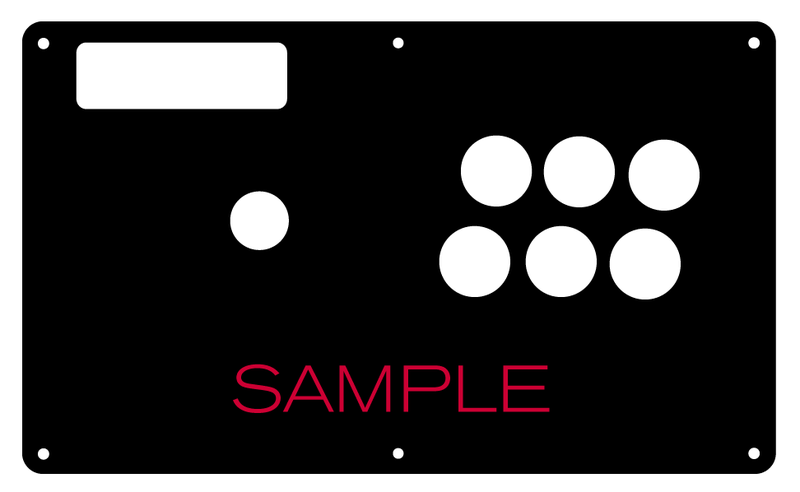 You can use this plexi on Generation 1 TE2 Fightsticks as well. 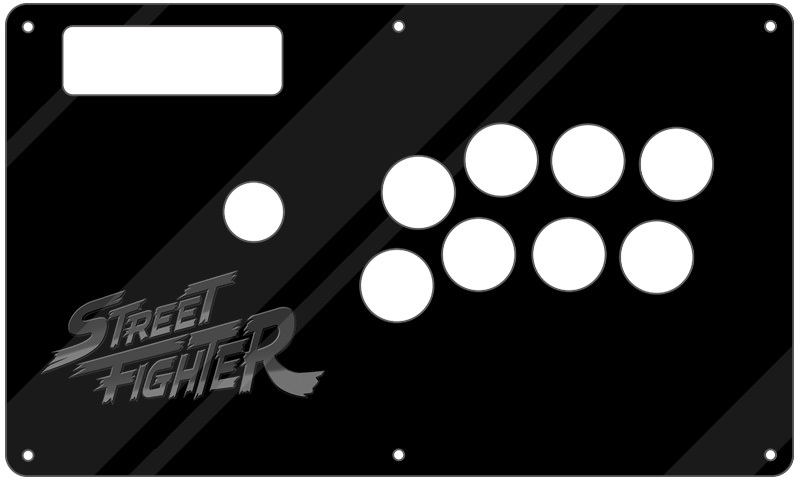 Etching services now are available for this version with 1/30" cast acrylic. However, due to the 1/30" thickness of the material, we must note that only partial etching is available. 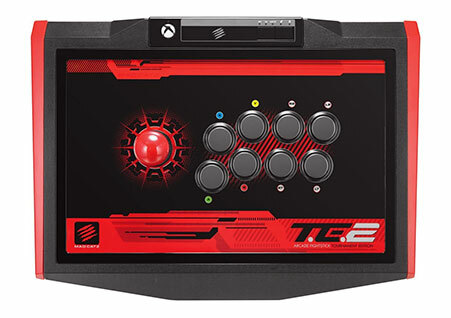 The T.E.2 top panel is constructed using resilient clear acrylic, and layout is cut to precision with a laser etching device. 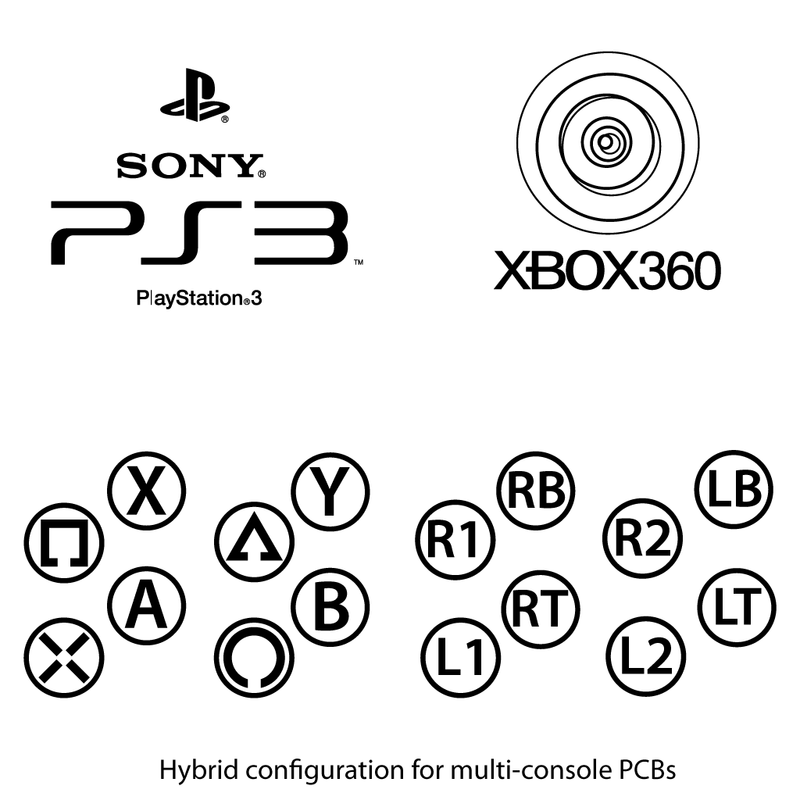 Depending on the plexi material you choose, you can have your preferred console button designation etched onto it. This is helpful if you swap art often, and do not want to place the labeling onto the artwork. For those looking to personalize their plexiglass control panel with their name or handle, but not as familiar with graphic design applications like Photoshop, you can add text etchings. 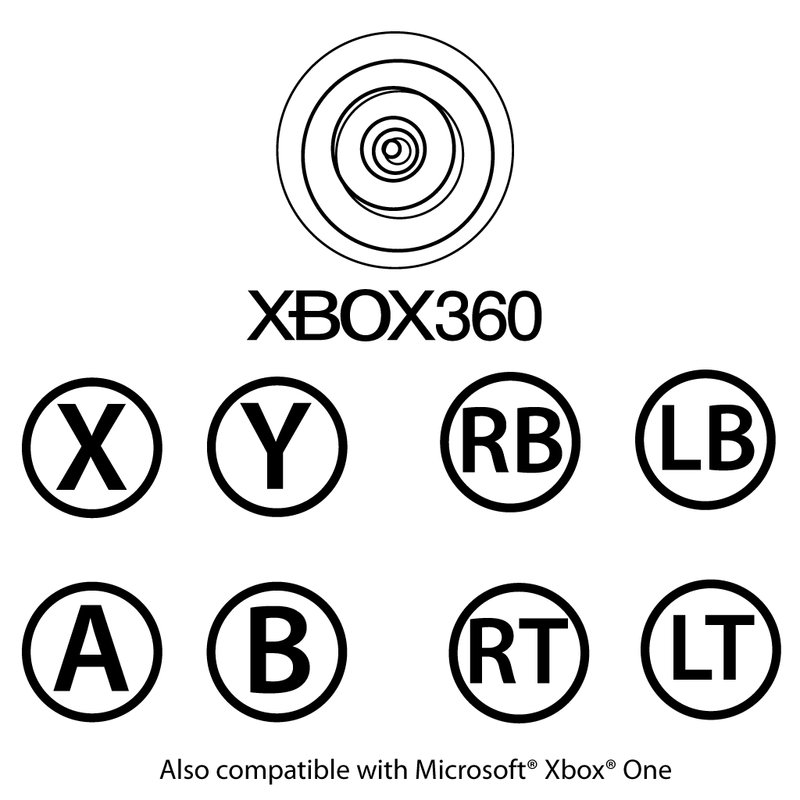 Choose from a variety of fonts, and your position on the control panel. 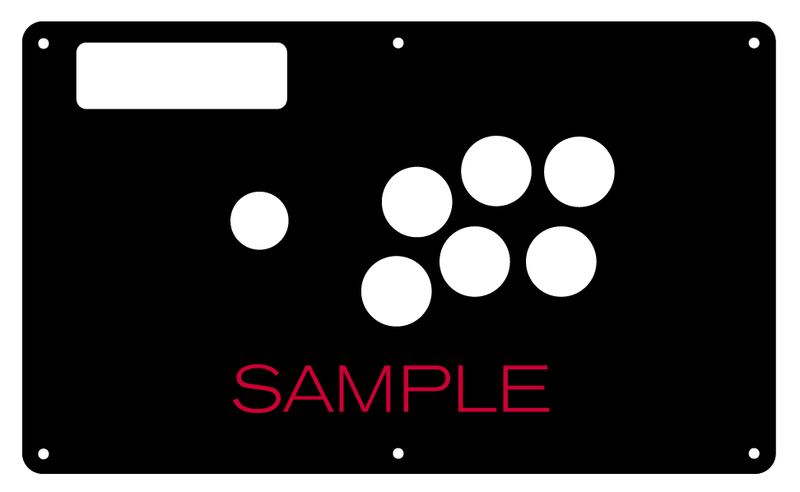 Etching on plexi provides you an extra layer for personalizing your control panel. Artwork is etched onto the bottom of clear plexi, or on top of opaque or translucent color plexi. You have two options to choose. A partial etch is a graphic up to 5 inches square, placed nearly anywhere on the control panel face. You can etch a logo, name/handle, or illustration. Please note that this is not the same as etched text; you will submit the graphic to us for etching. To place an order for a partial etch, select the "Partial (5"x5")" option next to the "Full or Partial Etching" label. 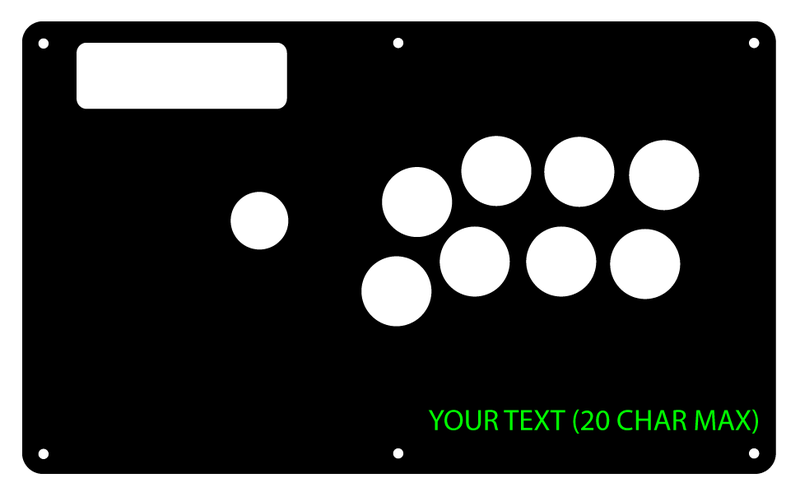 We must know where to place your etch graphic on the panel, so be sure to provide placement instructions within the "Additional Instructions" text form, or submit the graphic using our Photoshop template. If we don't have this, we will put the task on hold, and send a message asking for clarification on where you want the graphic to appear on the panel. A full etch can occupy the entire area of the control panel. It can consist of a single illustration, or multiple illustrations placed strategically on the control panel. To submit your graphic, please use our Photoshop template and click "Choose file" next to "Submit Etch Artwork". It is recommended that the graphic submitted is high-resolution - between 300dpi or 600dpi (dots per inch). Anything less may etch with less fidelity. Click for more information about submitting etch artwork. If you would like to clarify something regarding your personalization that wasn't covered in the options, you can complete the "Additional Instructions" form. Please do not make requests for customization outside of the requirements of the plexi, such as fixing your graphic, or creating a logo, as any orders placed in "HOLD" status is pushed to the bottom of the queue until it is changed back to "IN PROGRESS".